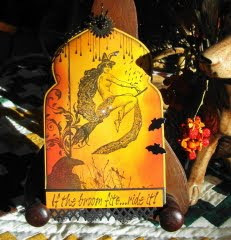 How about a Gothic Arch for a Halloween Tag? Now How Fun is This? My stamps are from, I Brake for Stamps, Third Coast Rubber, Stampscapes and Hampton Arts. 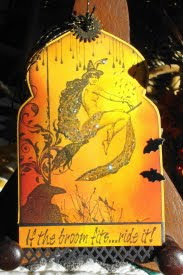 I’ve added some glitter glue, punched the bottom of the tag and added two black bats. Thanks for stopping in, have a great stamping day. Love that sentiment Vada! This is so cool and your bottom edge is fabulous with this arch! Love it tons! The glitter glue was the perfect addition to this piece, it's fantastic! Love it! Awesome arch, Vada! Treat Boxes; Thank You Cards and Texture Duet TQ. Enjoying Fall Here In Wisconsin. GCSP5: “Blue Moon”, is Quilt Patterns.